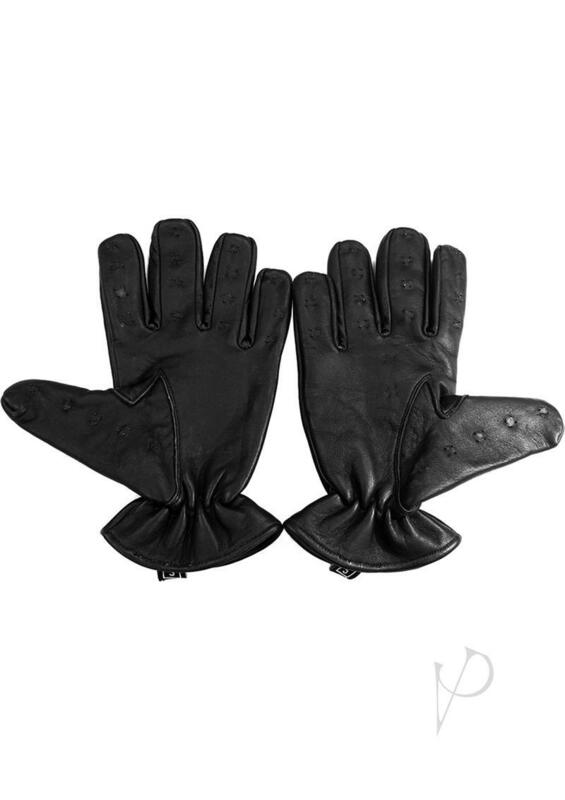 Gloves made of genuine soft sheep leather, with sets of spikes on each finger. The gloves have an elasticated wrist band to give a tight and comfortable fit. The spikes are sharp enough to awaken your partner's senses. Size: XL, 9.5 in.